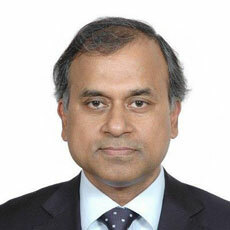 Siddharth Chatterjee is the United Nations Resident Coordinator to Kenya. NAIROBI, Kenya, Mar 17 2017 (IPS) - Consider this. The communities around the Kenya-Ethiopia border in Moyale-Borona area, have long been associated with internecine violence, extreme poverty, and environmental stress. These have led to disastrous societal consequences, including displacement, criminality and violent extremism. The 2012-2013 intercommunal clashes in Moyale town, claimed the lives of over 200 people, destroyed thousands of properties, including schools and other social amenities. The region has been viewed as largely peripheral, both economically and politically, and therefore attracted limited public and private resources. However, an innovative, comprehensive and integrated cross-border programme initiated by the Kenyan and Ethiopian governments, in partnership with the Intergovernmental Authority on Development (IGAD) and the United Nations (UN) is changing this narrative. 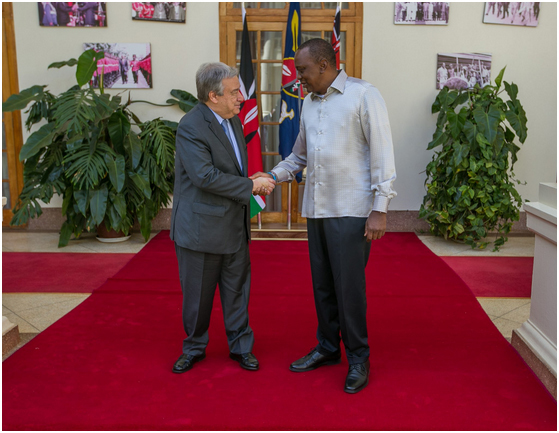 During the recent visit to Kenya by the UN Secretary-General, António Guterres, President Uhuru Kenyatta specifically mentioned, the Kenya-Ethiopia cross-border programme and noted the importance of this innovative area-based development programme, which he said has the potential of being replicated elsewhere. 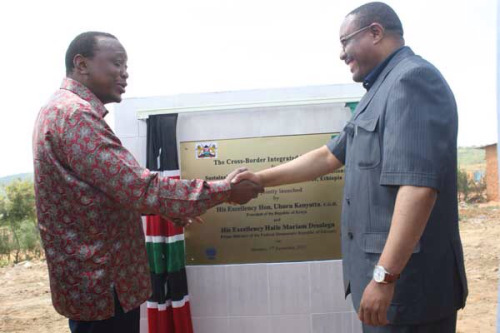 President Kenyatta hoped that the initiative would help transform the region. “The programme will see Moyale being turned into the Dubai of Africa,” he said. The strong commitment of the two governments is reflected in an article the Foreign Ministers of Kenya and Ethiopia, co-authored. 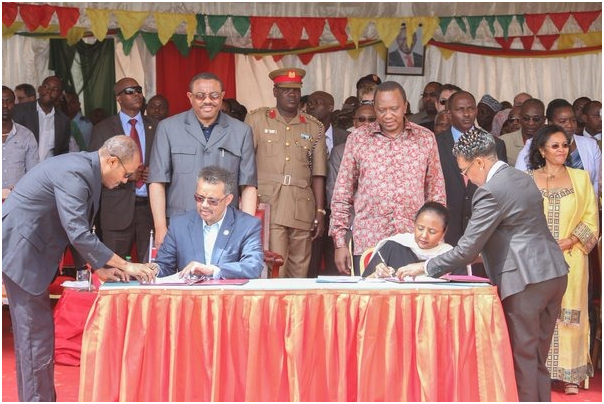 Kenya and Ethiopia: A cross-border initiative to advance peace and development. The initiative is driven by the need to foster peace and sustainable development in the cross-border area of Marsabit County, Kenya, and the Borana/Dawa Zones, Ethiopia. It was launched in December 2015 by President Uhuru Kenyatta of Kenya and Prime Minister Hailemariam Desalegn of Ethiopia. The European Union Ambassador to Kenya, Dr Stefano Dejak remarked, “I am seeing positive signs of change and therefore the European Union has decided to partner with the UN and IGAD, to expand the cross-border programme to include Mandera Triangle (Kenya-Ethiopia-Somalia), the Omo (Kenya-South Sudan) and Karamoja (Kenya-Uganda) clusters”. Among the positive signs is a determination to establish peace as the basis for integration. Local peace committees, comprising of different ethnic groups, have been working relentlessly to maintain the peace and promoting harmonious coexistence. The elders also testified to the fact that the number of young people getting radicalised and tempted to join extremist/terror groups had declined significantly. Devolution has also empowered local authorities and communities, and has contributed to poverty reduction and effective service delivery in Marsabit County. The Isiolo-Merille-Marsabit-Moyale road, is now complete; and it will be a transformational as it will link the region to Ethiopia, the second most populous country in Africa, and promote cross-border trade. In addition, this completes the Trans-Africa highway linking South Africa to Egypt. The region’s socio-economic development potential is great. The large numbers of livestock can be harnessed for leather, meat and dairy industries. The cross-border trade between the border communities could generate tremendous revenue for both countries. The region’s diverse and rich culture and heritage, evidenced by its historical and geographical sites, present huge tourism potential. There is also a latent resource for clean and renewable energy exploitation, as proven by the recent launch of the Lake Turkana Wind Power Project that is expected to generate 310MW into the national grid and power one million households. The UN is collaborating with development partners to tap this enormous potential to reduce poverty and spur development in various ways. This will especially benefit women who are significantly involved in cross-border trade. The UN will soon launch a “HeforShe” initiative/campaign to empower women and address the problem of gender inequality, and enhance women’s participation in the development process in both regions. 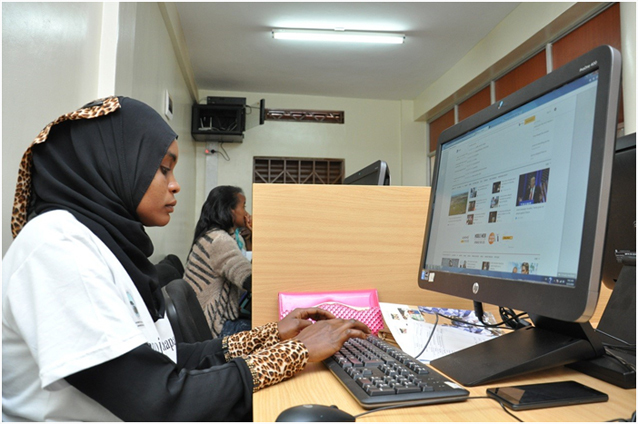 A UN supported “Biashara Centre” – a business incubation centre – was opened in Marsabit Town to empower the youth and address the problem of youth unemployment, and promote small and medium enterprises. Studies carried out, in collaboration with the communities, are helping to understand the causes, drivers, dynamics and impacts of conflict in the cross-border areas, and possible factors or stakeholders that could contribute to sustainable peace in the region. This is an important parameter of the African Union vision on peace and security in the first plan of action under the progressive Agenda 2063. The UN has worked with Marsabit County to review and mainstream the Sustainable Development Goals (SDGs) into the County Integrated Development Plan (CIDP). The revised CIDP aims at improving the living standards of the people of Marsabit County through employment creation, reduction of poverty and creation of wealth and expanding public service delivery in general. Though integration and trade along the border is still in nascent stages, there is reason for optimism that it will have long-term positive macroeconomic and social ramifications such as food security and income generation, particularly for populations who would otherwise suffer from social exclusion. Ms Ruth Kagia, in the Office of the President of Kenya who coordinates the programme says, “This initiative if properly executed may well be a game changer by turning cross border barriers into bridges of opportunity. Especially among the marginalized and poor communities to expedite the achievement of a core goal of the SDGs and ending poverty by 2030”.